The School of Social Work at Texas State University has been awarded a four-year, $1.9 million grant from the Health Resources and Services Administration (HRSA) agency of the U.S. Department of Health and Human Services. The “Behavioral Health Workforce Education and Training for Professionals” grant is intended to enhance services to rural and at-risk populations. The School of Social Work will accomplish this by increasing the number of social workers prepared to provide trauma-informed, culturally sensitive, evidence-based behavioral health prevention and intervention practices at schools, hospitals, clinics and homeless-serving agency settings, said Amy Benton, associate professor in the School of Social Work. Why Won’t Fox News Show This Ad? 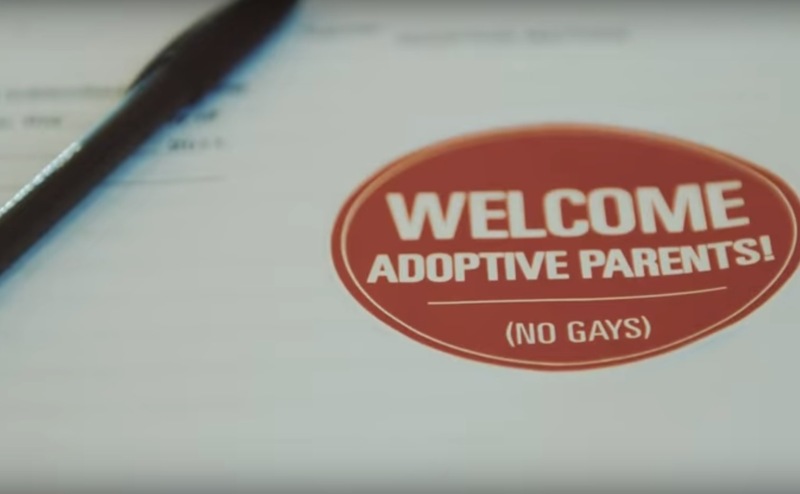 Seven states allow adoption agencies to deny kids forever homes and reject qualified parents—simply because they are lesbian, gay, bisexual or transgender (LGBT). So the Movement Advancement Project (MAP) decided it was time to push back against these license to discriminate laws. But the message is one that Fox News doesn’t want its viewers to hear. Why? MAP’s newest ad “Kids Pay the Price,” powerfully depicts the kinds of harms children can face when adoption agencies and workers are exempted from following key child welfare laws based on individual beliefs. Laws like these mean an agency or worker can keep a child in a government group home or foster care rather than place them with loving, qualified LGBT adoptive parents—or even insist on “conversion therapy.” MAP’s ad, which Fox News Channel refused to air, features Christine James-Brown, president and CEO of the Child Welfare League of America (CWLA), and was released in partnership with CWLA and the National Association of Social Workers (NASW). Fox News rejected the ad and refused to run it during Tucker Carlson’s show, calling the ad “too powerful.” It is powerful. Powerfully convincing. But when you try to pinpoint the reason why some people scurry when a potential partner is forthcoming with texts, things can get a little hazy. “So much goes into this idea,” says Jesse Kahn, LCSW, the director and supervisor of The Gender & Sexuality Therapy Collective in NYC. “If someone came into my office [with this question], I’d start by asking them about their ability to tolerate intimacy.” When someone shows a lot of interest, it signals that the relationship has the ability to progress. The more a relationship progresses, the more intimate things become. “And when a relationship becomes more intimate, it becomes more vulnerable, and [people] can become more easily hurt,” Kahn says. So by pulling away, the person on the receiving end of the attention is protecting themselves from the possibility of being hurt. “In fact, some people can find safety in being rejected, because it’s more normal for them,” Kahn says. Utah has one of the highest rates of suicide and specifically teen suicide. This is something that affects all families regardless of income, gender, religion or ethnicity. To raise awareness and hopefully save save lives, Fresh Living invited Clair Mellenthin, LCSW, RPT-S, and director of child and adolescent services at Wasatch Family Therapy, to discuss red flags and warning signs of suicide. “Parents need to be talking with their teens and teens,” says Clair Mellenthin. On Friday in Charleston, a WVU professor will be teaching a method veterans can use by themselves to deal with traumatic memories.… A 2014 study done for the Legislature found that from 40 to 50 percent of West Virginia vets of all ages reported serious symptoms of PTSD or depression. Kent’s Friday afternoon session is being organized by the National Association of Social Workers West Virginia Chapter. Texas has one of the highest child marriage rates in the country, but a new law seeks to change that. In May, Texas joined a growing number of states cracking down on child marriage when Gov. Greg Abbott signed Senate Bill 1705, which bans anyone under 16 from marrying. The law by state Sen. Van Taylor, R-Plano — which went into effect Sept. 1 – also requires people under 18 to get a judge’s consent before marrying.… “I think children will finally get a voice in this process,” said Will Francis, the government relations director for the Texas Chapter of the National Association of Social Workers.